Millennials have grown up in the era where understanding of ownership is very different from previous generations. While it was critical to own things back in the day, millennials see ownership as something that ties them down. They prefer access economy where experiences have more distinction than possessions. The headache of ownership is disappearing and and maintenance woes are becoming a thing of the past. Taking cues from this insight, leading subscription based renting brand RentoMojo has recently released a quirky and interesting digital campaign on “Smart ownership”. The campaign creatively builds awareness among consumers about smarter lifestyle choices with rental subscriptions without actually owning. The campaign has been conceptualized, designed and produced by Dentsu Webchutney. In the past, RentoMojo has done extremely quirky and bold campaigns like #pappunahismartbano and the OOH one which was based on how an unfurnished house feels in the presence of guests- same as a bare man. Talking about the campaign, Geetansh Bamania, CEO & Founder, RentoMojo, said, “The way access-economy is shaping up in our country, millennials today value experiences more than owning assets. They are increasingly spending time and energy on living rather than having. We as a category creator aim at providing easy, affordable and hassle-free solutions to this generation so that they can have better life experiences without being tied to furniture, appliances and other necessities which they may not need in future”. 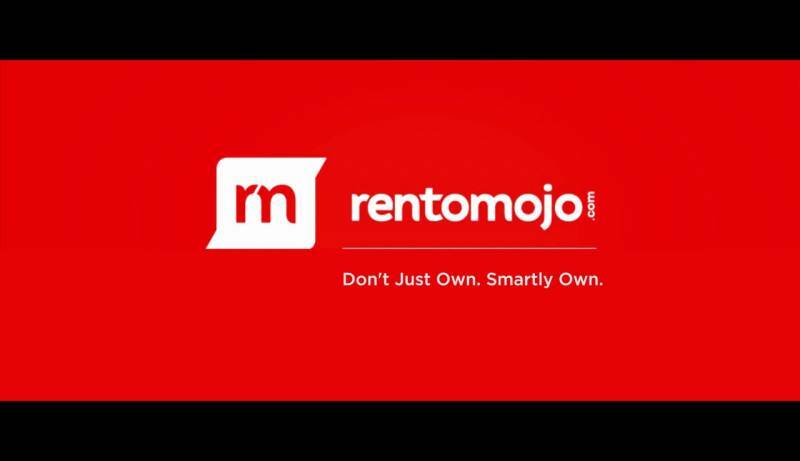 Commenting on the insight and execution, Gautam Reghunath, SVP & Branch Head of Dentsu Webchutney, Bangalore said, “ RentoMojo understands the millennial generation and their evolving idea of ownership very well. Their business success is testament to the fact that there is a certain level of commitment-phobia in consumer purchase behavior today. One where permanence is overrated. The campaign aimed at capturing this amongst certain other brand and category insights through three very simple films. Here, Rentomojo encourages the millennial consumer to be unabashedly committed to change while the brand offers smart, convenient and affordable solutions to support their lifestyle choices. The present campaign with its message of access over ownership has received viewership across various social media platforms like YouTube, Twitter.In less than a week it has received close to 5k shares across various social media platforms and received over 1 million views on Facebook and has been constantly increasing.